AccessUserGroups.org was founded by Access MVPs Juan Soto and Ben Clothier in order to foster virtual Access user groups nationwide. Sometimes it is not feasible to have a local Access group in every metropolitan area, or there are not enough people in close proximity who speak the same language interested in Access. Using this site, anyone can start a virtual user group and get started with online meetings right away! Discuss next meeting agenda, if there is one, and close. We recommend you attend a chapter meeting first to get the feel of it, then consider starting your own chapter. 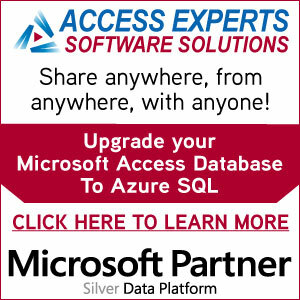 Chapters can be built around a language, (Access Latino), or an interest, SQL Server with Access. Whatever approach you take, we are here to help you get started! Their own personalized site: You will be able to blog, have a chapter calendar, and promote your chapter with your own Google optimized site. Each chapter will receive up to 25 Microsoft Office 365 E3 accounts, (comes with a FREE license of Office 2013! ), courtesy of our sponsor Office365! Support from Juan and Ben, as needed, to get the word out and your chapter off the ground! Visit our contact page and drop us a line! Click here.